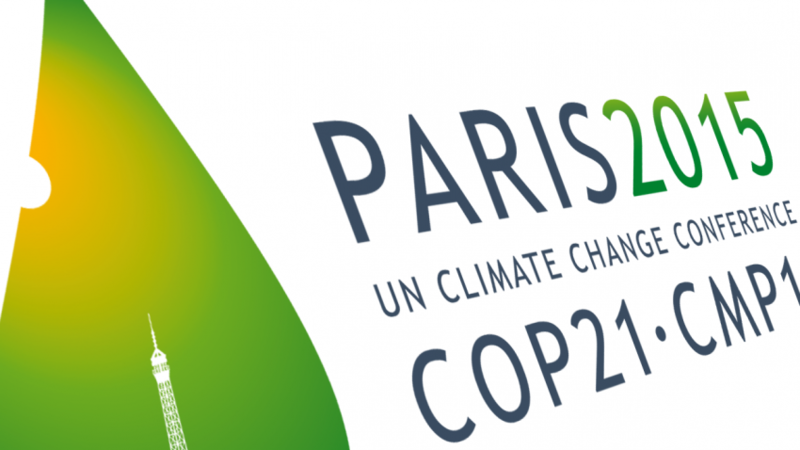 ACES > News & Features > What can we expect from the climate negotiations in Paris? What can we expect from the climate negotiations in Paris? The negotiations to reduce global greenhouse gas emissions have started in Paris. What can we expect? Insights from some 50 years ago when we had another major trans-boundary environmental pollution problem in Europe might give us some clues on what influences international negotiations on common environmental problems. It started in the early 1960s with article in one of the major Swedish morning papers saying that major rivers in Sweden were getting more and more acidic. Swedish scientist Svante Odén, who had been measuring the acidity of some major rivers over several years, noted that the pH was slowly but steadily decreasing. Why this was happening was not known until the 1970s when long-range transport of acidic sulfate particles was shown to be the main cause. Pictures of dying trees emerged in the press especially from what was then called “the triangle of death,” an area at the border between Poland, Germany and Czechoslovakia, on the other side of the iron curtain. The cold war was at its peak. Peace and security conferences were held to find ways to bridge differences between the East and West. The only issue that did not have a clear East–West divide was long-range transboundary air pollution. It became a hotbed for diplomatic and political unrest within western countries as they were sometimes divided. At the same time, as the green movement grew, the German political party Die Grüne was founded – the very first green party in Europe – and the concept “acid rain” frequented the global headlines. Due to East-West tensions and the rise of the green movement, the political stage suddenly opened for negotiations, which led to the Convention on Long Range Trans-boundary Air Pollution or CLRTAP, the first ever agreement to reduce sulfur emission by 30%. This was the start of a quite successful process that has ultimately brought down Europe’s sulfur emission by about 80%, which is equivalent to the emission levels in the late 1930s. By and large, although air quality regulation has been largely successful, it has taken more than 30 years to achieve. The recent IPCC report has brought climate change into the limelight in a way that has never been done before. The media communicated the key messages of the report strongly and clearly. Since major CO2 emitters China and USA have made a bilateral agreement to curb their CO2 emissions, optimism has increased over the COP21 meeting in Paris feeding hopes of reaching a global agreement to drastically reduce emissions so as not to surpass the 2 degrees global warming. Despite this hopeful backdrop, the CLRTAP history tells us that the political stage can change very quickly. Indeed, we experience right now a very volatile political situation in Europe, which might influence the negotiations for better or for worse. The COP21 meeting in Paris alone might not lead to the much needed agreement for limiting global warming to 2 degrees, and that more meetings will certainly follow Paris to gradually achieve this goal. However, unlike acid rain where SO2 particles disappear from the atmosphere in the same pace as their emissions are decreasing, CO2 emitted today will stay in the atmosphere for the next 100 years, therefore, delays in decisions making, lack of action or moderate emission reductions could make it impossible to keep global warming below 2 degrees. Given the important role science has in providing the facts, it is clear that we, as scientists, would need to follow the examples of Svante Odén, Bert Bolin and Henning Rodhe (this year’s Volvo Environmental Prize recipient), and pursue our research in spite of potential backlashes. We should strive to reach out to society with facts and well-founded knowledge as our main weapons to achieve a sustainable world.